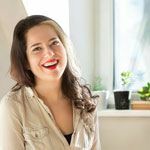 In 2016, I returned to my home country after more than a year of living in Austria. Somehow, despite being on familiar ground, home no longer felt like home. The city where I had grown up had become foreign. My friends no longer lived nearby and new construction changed the face of my favorite parts of town. I longed to return to Austria. 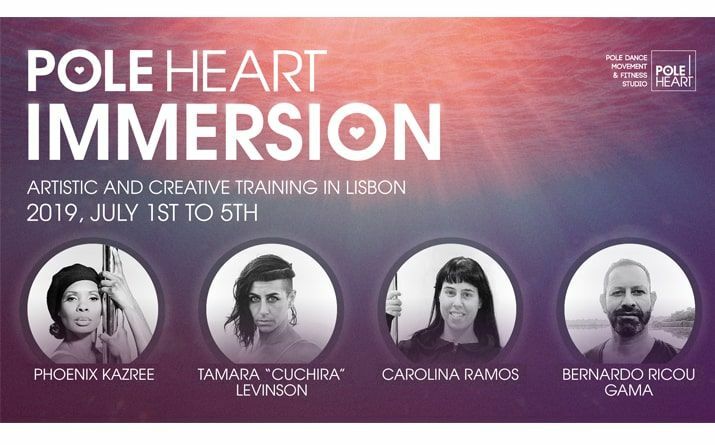 Reverse culture shock tucked me far under my bed in the dark, and I didn’t want to come out. 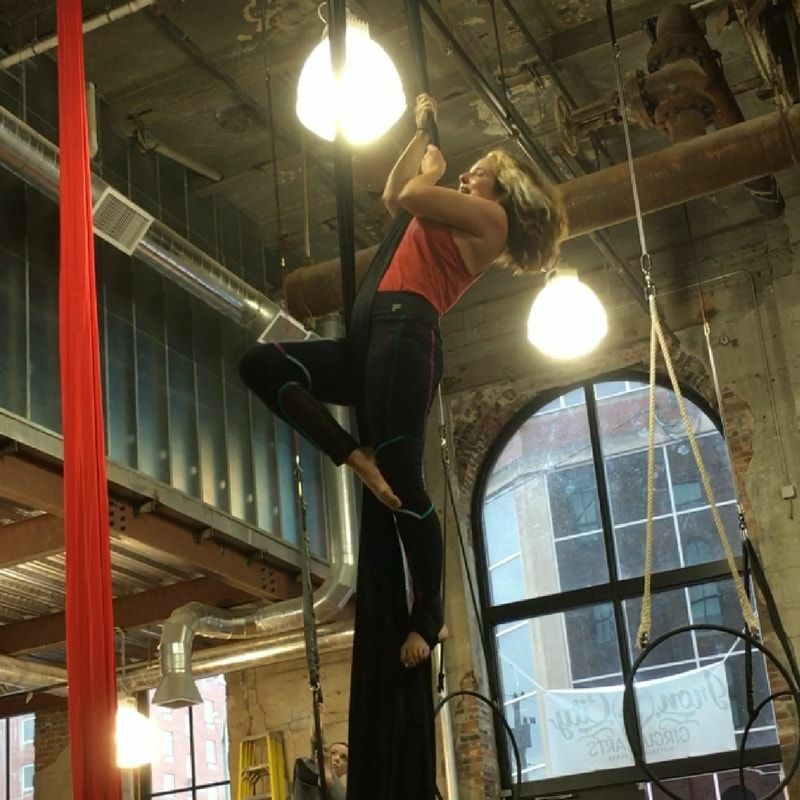 During this dismal time, social media introduced me to Iron City Circus Arts, and lured me to try aerial silks—something I only knew of because of Cirque du Soleil. 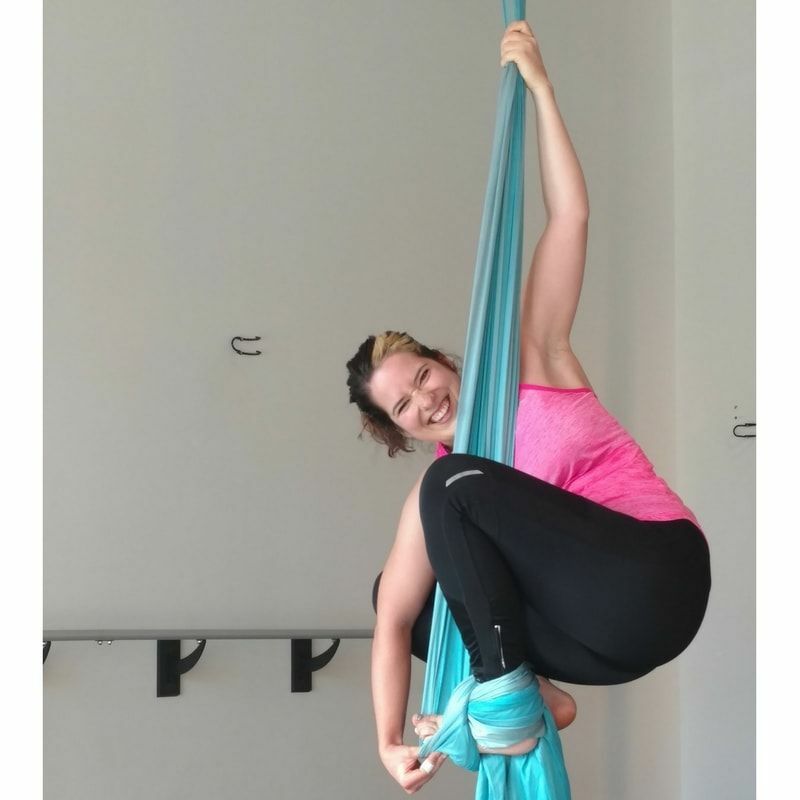 During my first aerial silks class, I envied my stronger classmates as they soared above me, doing the same tricks that I attempted on the floor. My feet never really left the ground for more than a few seconds. But those few seconds did it. After one class, I was addicted. Perhaps I had picked up the flashlight to light the way from under the bed. Aerial silks not only offered the adventure of combining strength with graceful shapes, but it also quieted the frantic voices in my mind that worried over all the big changes in my life. As I concentrated on climbing the silk, all other worries dropped away from me. I climbed, I foot-locked, I dipped upside down. For once, I settled into being fully present with my body rather than tangled in my thoughts. Even yoga never had quieted my mind like this. In the world of the circus classroom, all that matters is me, my silk and the voice of my teacher. 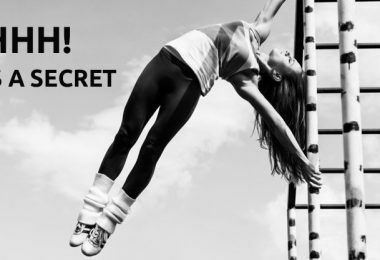 But, best of all, I delighted in the encouragement from my aerialist classmates. Their yells and cheers pushed me to defeat my current nemesis of a trick. And I loved the good vibes in the circus classroom. Six months after beginning aerial silks, I had a trip scheduled to South Africa by way of Canada. The solo 30+ hour trip with a 12-hour layover in Canada seemed daunting, exhausting, and lonely. I also feared that I would lose the training momentum in aerial silks that I had only just recently discovered. My aerial instructor listened to my worries and suggested that I search for circus classes in both countries. How had I not thought about that myself? 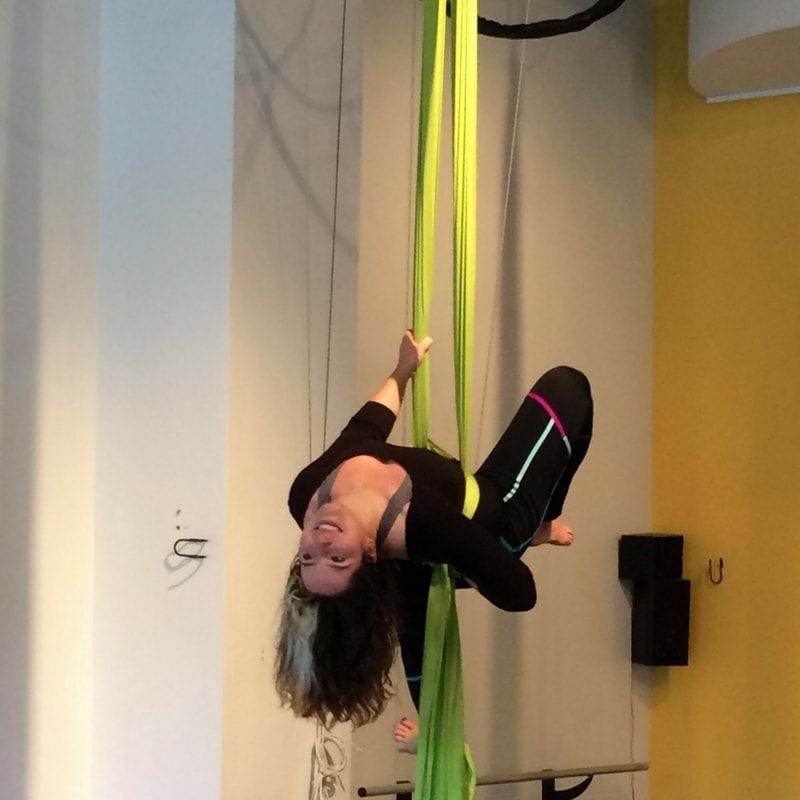 In Canada, I signed up for aerial yoga – my first time. Travel-weary and lonely from hours of being with people without any personal connection, I arrived at Fly Studio and changed into my workout clothing. I signed in at the front desk and settled on a yoga mat under an aerial hammock for class. And I loved it. But what I adored more was discovering a group of women who loved the silks. With conditioning movements and sweat, I fell into the rhythm of camaraderie. I’d found my people in a foreign city. 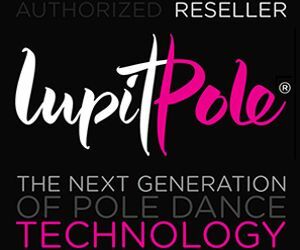 In South Africa, I dragged my friend to a pole fitness class at The Pole Studio. Conversation before class flowed with the other students, and once again, I settled into the familiarity of a shared interest. In class, because of the support of the other students, I ignored the bite of the pole for the success of a difficult move. Once again, I’d found my people in a place that I’d never visited before. After three weeks, I returned to my home town and my own Iron City Circus Arts, in Pennsylvania. Moves that I had struggled with before my trip were no longer difficult. I hadn’t lost anything. Finally, the dark hiding place under my bed no longer seemed to be the best refuge. Aerial silks provided a place of connection, safety and fun. This new adventure not only strengthened my body, but it taught me peace of mind and trust in myself. And I learned that home can be found anywhere you hang your silk. 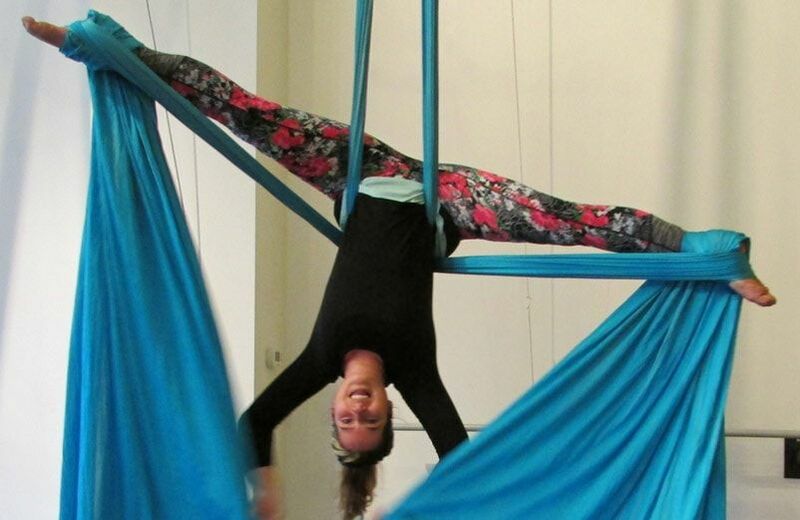 Barbara Brutt is a 20-something who loves flying, whether on aerial silks or on an airplane. She’s lived in three countries and visited 18 others. Barbara never says no to ice cream and only buys purses with room for a book and pole grip. Love the articles and the photos! The photos capture your joy!. Aw, thank you, Ashley! 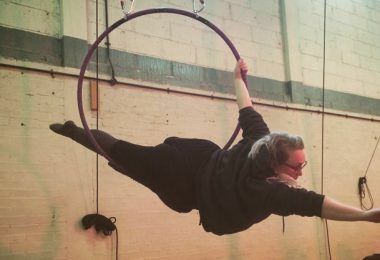 The aerial arts do bring me so much joy, and I just love sharing them here.